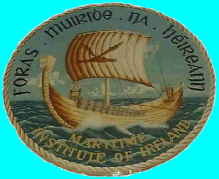 including the National Maritime Museum of Ireland. Shipping and marine activity at the port of Wicklow and along the County Wicklow coastline. Drogheda Port is one of Ireland’s premier multi modal ports strategically located on the east coast. Site all about the port of Galway on the west coast of Ireland with great photos from Brien McGrath. suppliers to Ships visiting Dublin port and all around Ireland. We suppy the Cruise Ferry industry, Ferries, Naval Vessels and Merchant Shipping. OFFICIAL SITE FOR ARKLOW SHIPPING ltd. Welcome to Sealink ~ Holyhead, the definitive guide to the ships, officers, crews and ports of the "sealink" between Holyhead on Anglesey, Dublin Bay in Ireland and Belfast in Northern Ireland. the Irish Sea between Dún Laoghaire and Holyhead in Wales. Gallery of old ship pictures, images and photos. Collection of black and white ship postcards of old liners, steamships SS motorships MV British warships HMS. Merchant and naval shipping disasters, casualties and losses of WW1 and WW2. BP tanker company ships. established to promote water safety in Ireland. Michael Quinn's images and videos such as cruise liners, fire engines, ambulance, order of Malta, civil defence and even wildlife.